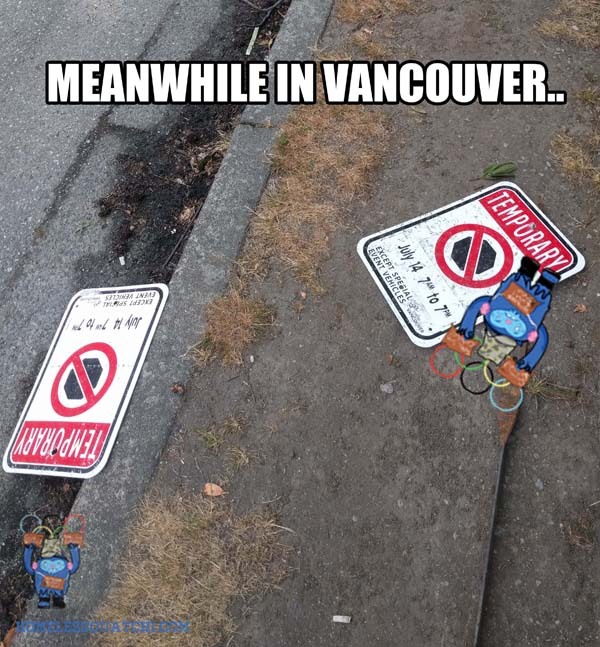 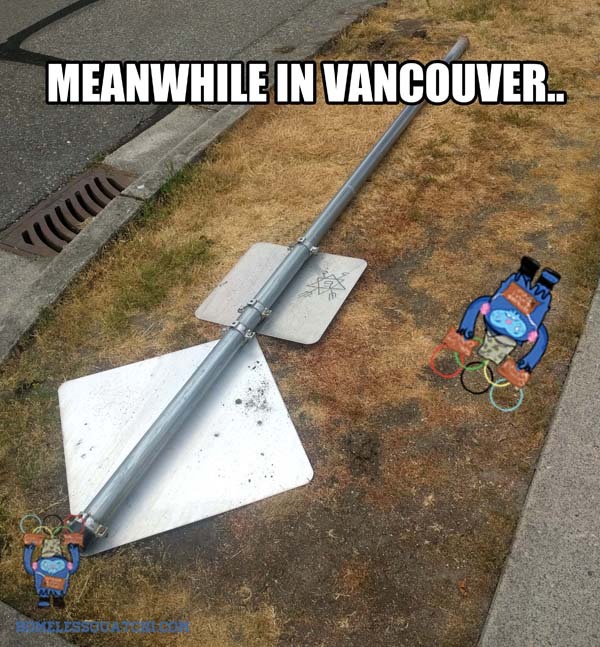 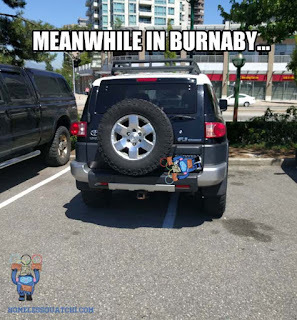 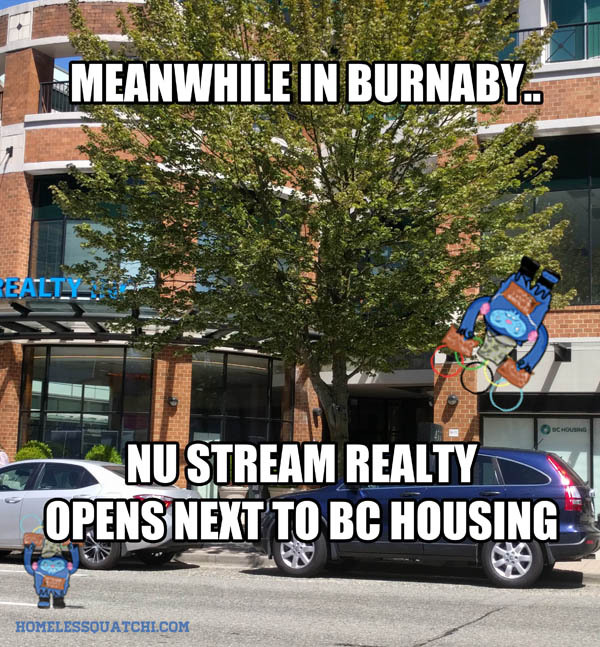 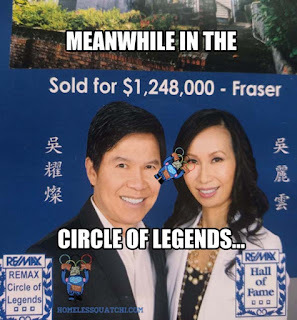 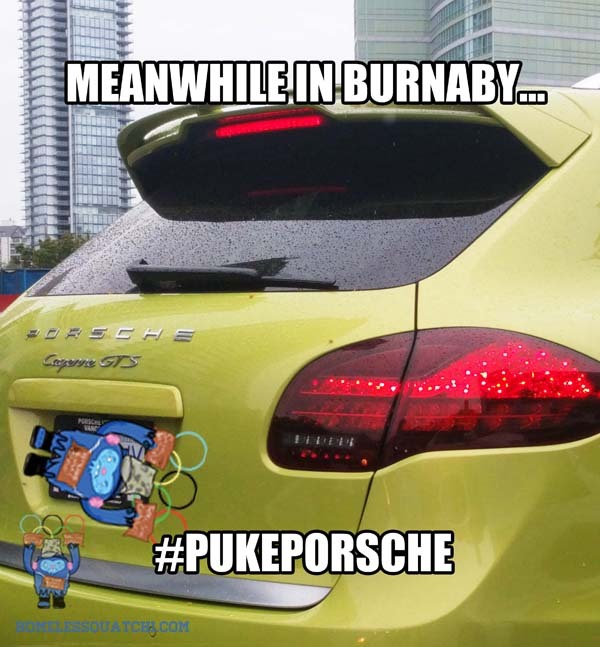 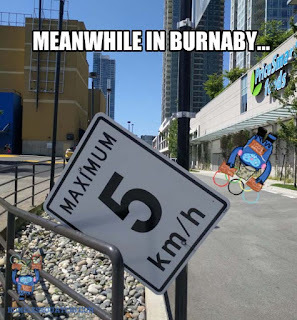 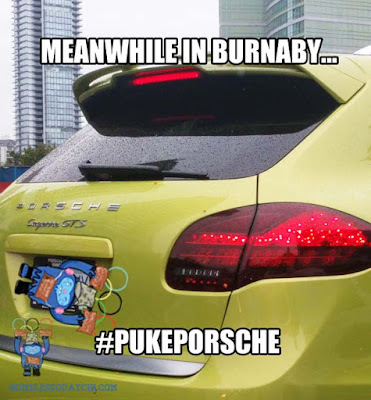 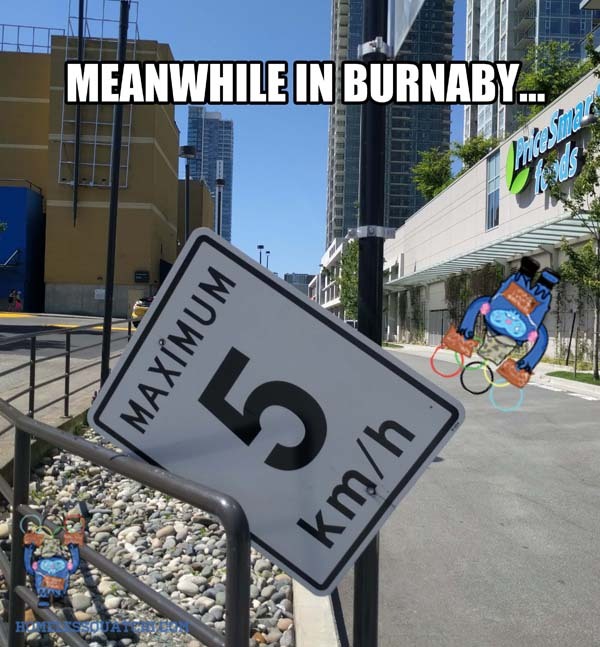 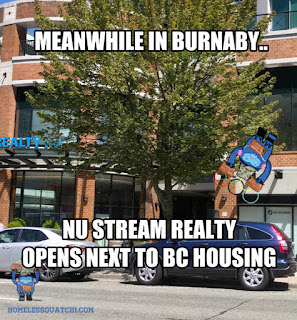 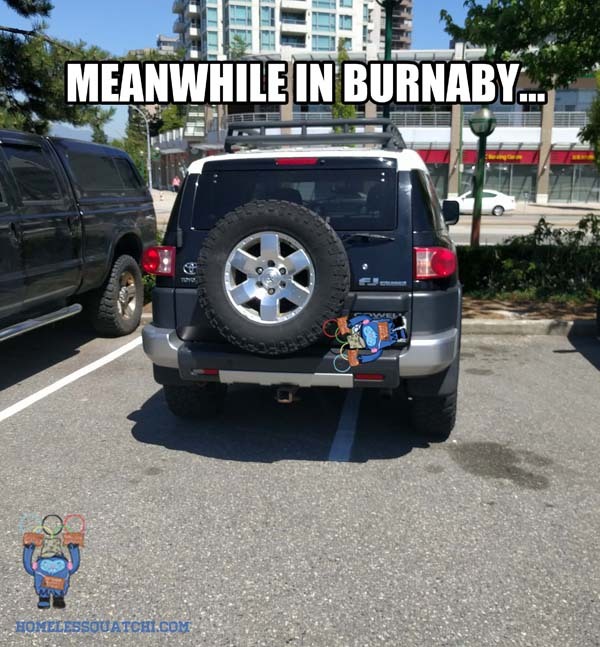 Meanwhile in Vancouver, SIGN DOWN! Homeless Traffic Sign needs place to sleep. 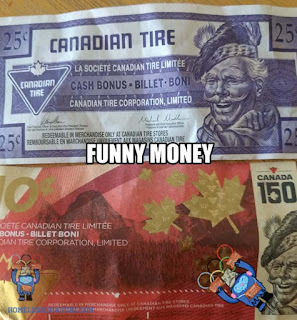 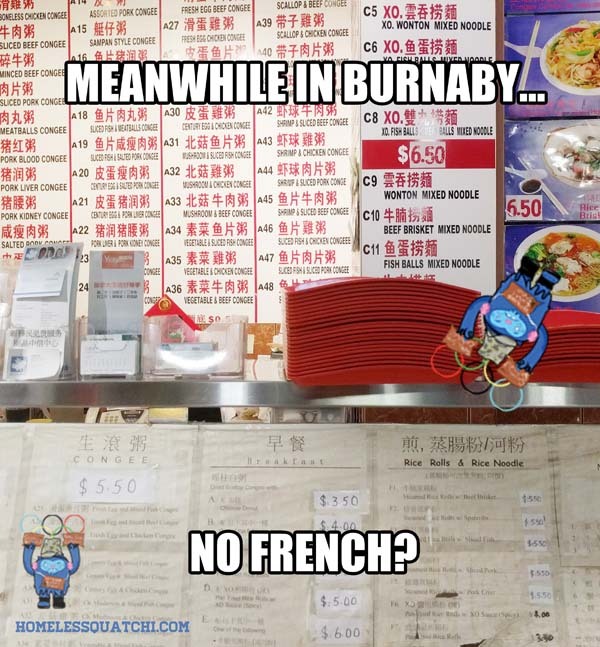 Chinese, English, but no French?! Another day, another showroom. 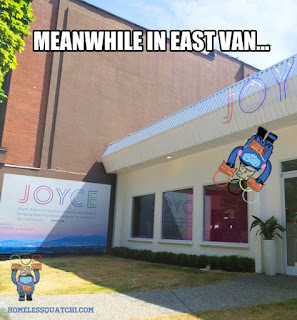 Jump for JOYce! 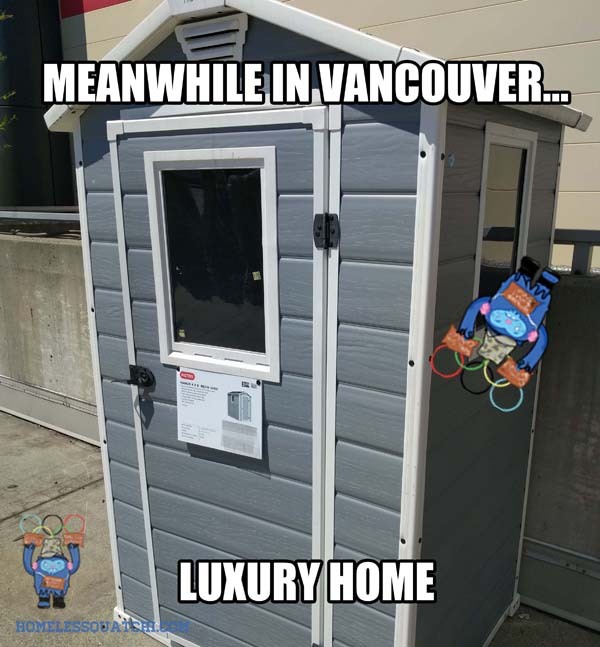 New listing for a Luxury Home in Vancouver! Celebrating Canada's 150th Anniversary on the streets. 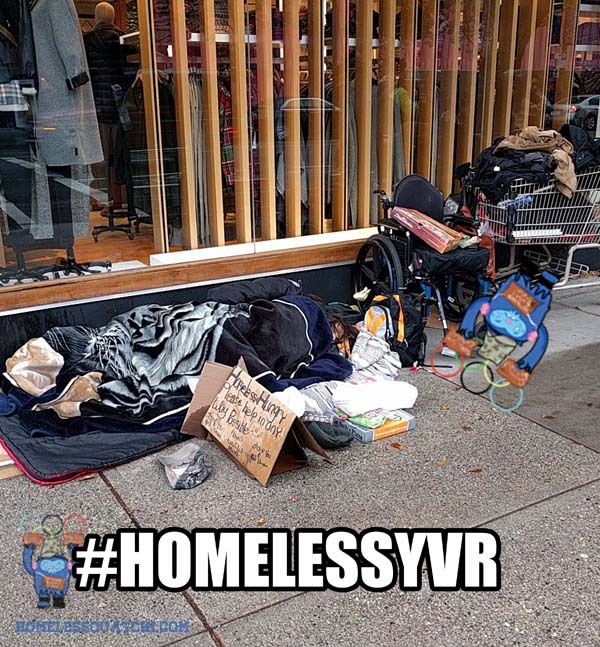 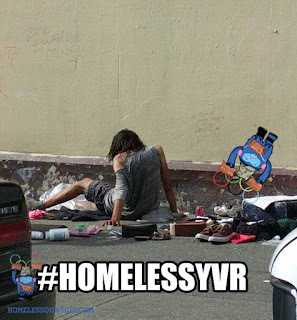 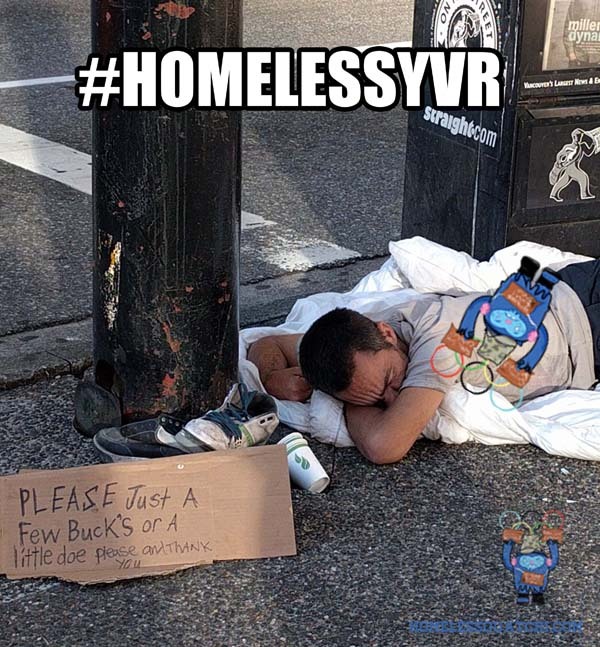 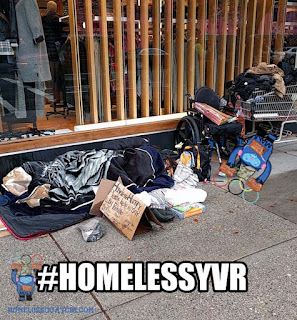 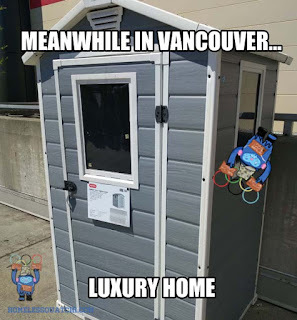 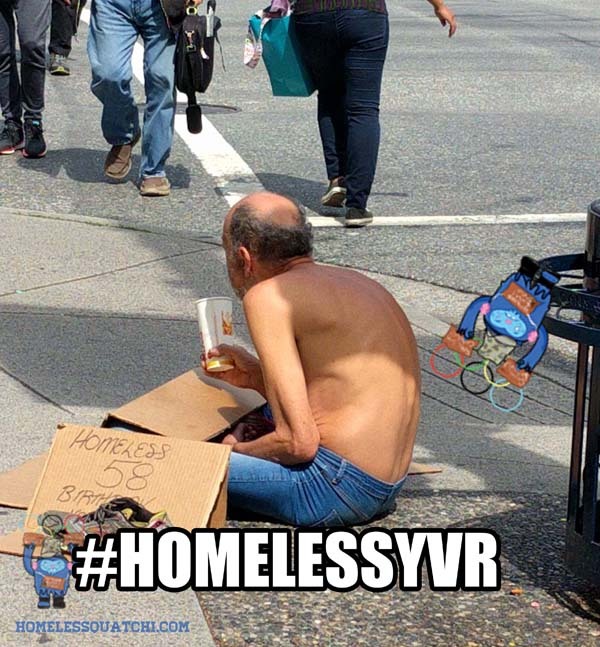 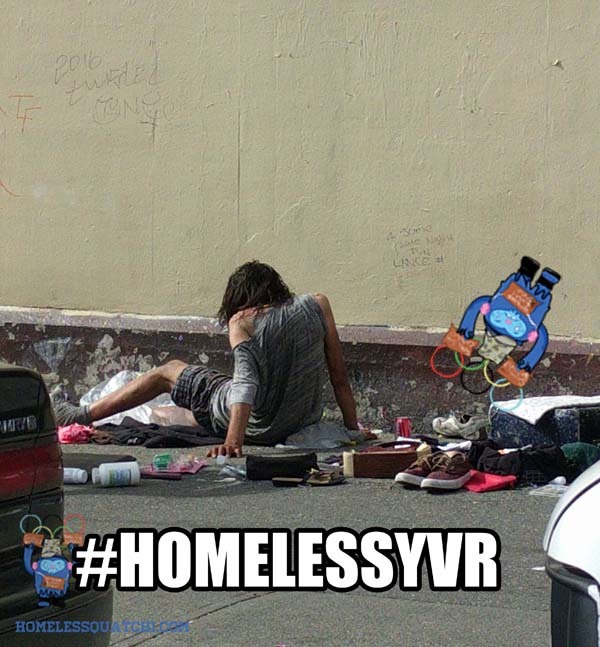 Let's not forget the homeless, and addicted in Vancouver, around the province and across Canada.